It looks like Vasyl Lomachenko (10-1, 8 KO’s) is heading for yet another weight class. 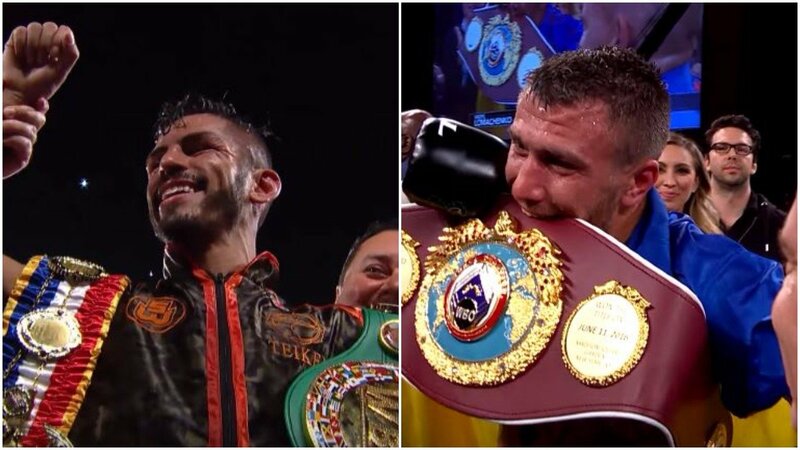 Lomachenko will move up to Lightweight (135 lbs) to challenge Jorge Linares (44-3, 27 KO’s) for the WBA & TheRing World Lightweight titles. The fight was made official today and will take place at Madison Square Garden On May 12th 2018. Lomachenko only fights top teir opponents, and this will stay true in this fight, and might be his toughest opponent yet. That was also said about his last two opponents, and Lomachenko made them both quit in the corner. Lomachenko is coming off a 6th round TKO victory over fellow pound for pound fighter Guillermo Rigondeaux. We thought Lomachenko would finally be tested, but Rigondeaux was actually tailor made for him, given the fact that he just doesn’t throw a lot of punches. Liners does however, and is also a very slick boxer. It will be even more of a test for Loma, because he’s moving up in weight for this fights. Linares looked phenomenal in his last fight against Mercito Gesta, but Gesta was a bit overmatched. It will be very interesting to see how their styles clash, and it will be a heck of a fight at MSG come May 12th.